Imperial Plaza, located at 111 St. Clair Avenue West, will be the dramatic retrofit of the former headquarters of one of Canada’s largest corporations (circa 1950’s). Inspired by the Rockefeller family, Camrost Felcorp has brought to the market a project unlike any other in the City of Toronto. 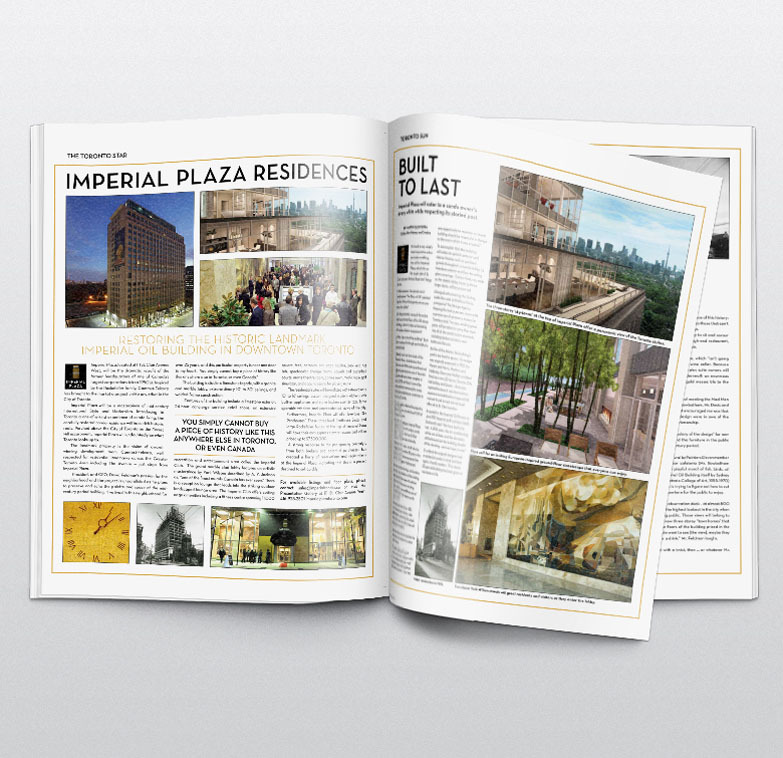 Imperial Plaza will be a masterpiece of mid-century International Style and Modernism. Introducing to Toronto a one-of-a-kind experience of condo living, the carefully restored condo residence will have rich historic roots. Perched above the City of Toronto on the Forest Hill escarpment, Imperial Plaza will undoubtedly be what Toronto looks up to.